I've mentioned before that during my trip to Korea this past fall, I went to a hot spring resort that had thermal spring water running throughout the pipes of the resort. After bathing in the water for 10-15 minutes, I noticed how calm and smooth my skin was. It was unreal. I was breaking out during my trip as well, and my blemishes were significantly calmer and less red after only a 15 minute soak. 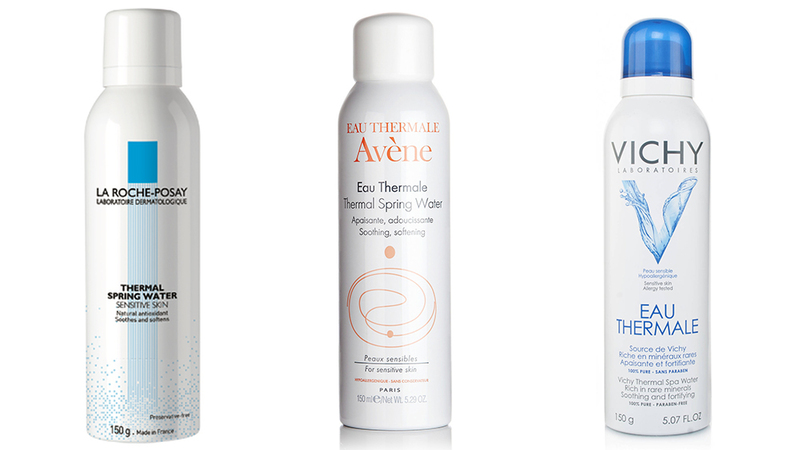 It's no wonder that a lot of beauty companies bottle the wonders of thermal spring water. 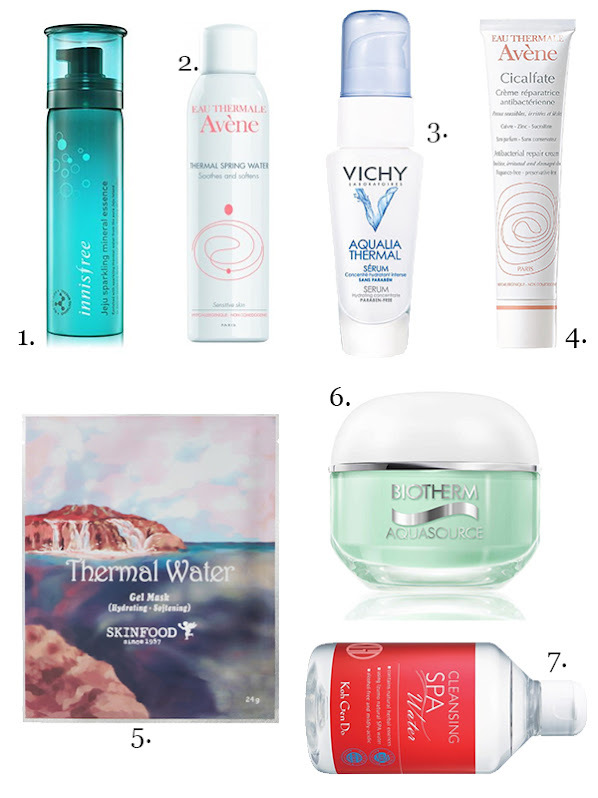 Although I don't claim to be an expert in the chemistry of thermal water, I can vouch and say that every product that I've used that has some sort of thermal spring water ingredient in it has benefited my skin. In the list down below, I've personally used 5 out of the 7 products listed. Since we can't always fly away to visit a hot spring every weekend, the next best thing are incorporating thermal waters in our skincare!